If you are a political spin doctor and the political landscape exists of two parties only, then in order to arouse your base, you seek known enemies. During the Midterm election campaign, Nancy Pelosi was the ultimate target for Republicans. Every Democratic candidate was associated with Pelosi to deter voters. If Donald Trump was on the campaign trail in recent months and he said Pelosi’s name, a loud roar went through the room. Related coverage: <a href="https://thegoldwater.com/news/42277-2020-Pelosi-Orders-Shock-Arrests-Leftwing-Ocasio-Cortez-Protesters-Video#42279">2020 - Pelosi Orders Shock Arrests Leftwing Ocasio-Cortez Protesters (Video)</a>. A "radical", a "socialist" as she was invariably described. The Republican Party launched a video in which pictures of her were combined with police images of murderous MS-13 gang members and a closing sentence that read "according to Nancy Pelosi, they are not that bad." One must however also dare to look to the other side of that same coin and admit that if Democrats want sympathy for any of their candidates, they need only look to the attacks that the Republican base sends towards them. 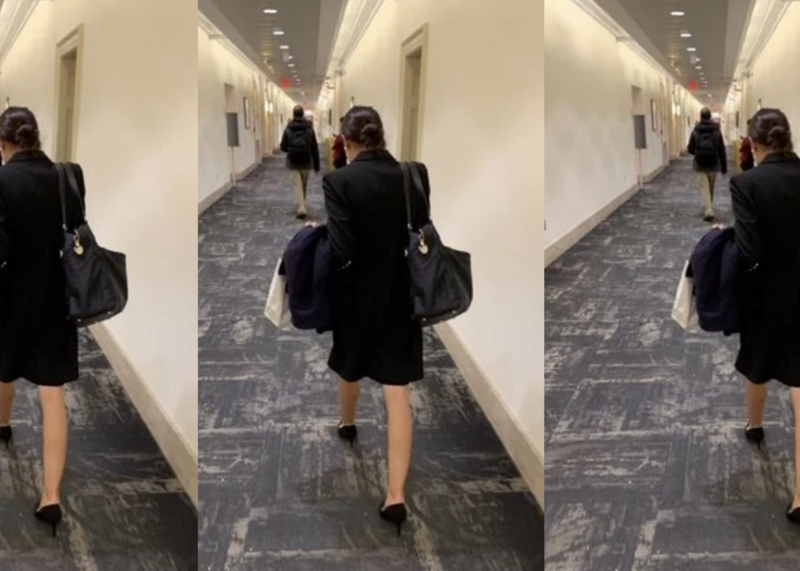 One of the favorite targets for the Republican base over the past few months has been New York congresswoman Ms. Alexandria Ocasio-Cortez, and thus when the Republican base overreacts, the bow snaps back. The writer, of course, was pointing to the fact that Ms. Ocasio-Cortez had claimed a few days ago that she couldn’t afford rent in Washington DC. However, the internet clearly chose the Democrat’s side on this one and the answers in support of her, some 20,000 of them, came pouring in quickly, blaming Mr. Scarry for ‘stalking’ her with ‘creepy’ photographs. Conservative commentators ordered him to delete the tweet and even Scarry's colleagues from the Washington Examiner said this was "not a proud moment" for the conservative outlet. Mr. Scarry later deleted the tweet and apologized. This is why republicans lose elections. If you are right never back down from the mob. If you don’t have the twig and berries to stand behind what you say…..don’t say it.